According to the Ringside News, it's confirmed that not only will Shawn Michaels play the role of special guest referee at WWE Super Show-Down but also he will wrestle on November 2nd in Los Angeles. Shawn Michaels appeared a couple of weeks ago on Raw to have his say on the upcoming match between The Undertaker and Triple H at WWE Super Show-Down. But this segment didn't go as many fans expected. As things between Shawn Michaels and The Undertaker boiled over. The WWE made the unexpected move of teasing HBK coming out of his retirement. And as for now, he's rumored to have some big matches coming to his way sooner than later as two fantasy matches are planned for HBK's return. One of the two ideas is to let HBK face 'Taker at this upcoming Survivor Series, which would be pretty awesome in my opinion. The second idea is to set up a tag team match between Shawn Michaels and Triple H vs The Undertaker and Kane. This idea is likely to be a backup plan in WWE's mind as if they plan to move it on a much bigger stage like WrestleMania. Only time will tell who will be HBK's Survivor Series opponent. Also, the idea of a tag team match has slightly fewer chances to happen because Kane is now the Mayor of Knox County, Tennessee but he has recently said he wants to get back in the ring once again. And what could be a better way than reuniting with The Undertaker as The Brother of Destruction once again? 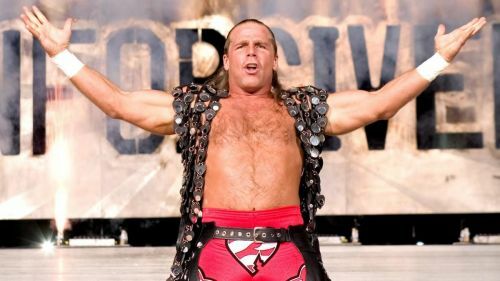 What do you think, who should face HBK at Survivor Series? Have your say in the comments.